Spun Bicycles is dedicated to keeping the FUN in bikes. Established in the Winter of 2012, Spun Bicycles is dedicated to serving Cincinnati Cyclists from its location In Northside, in the historic Hoffner Lodge. 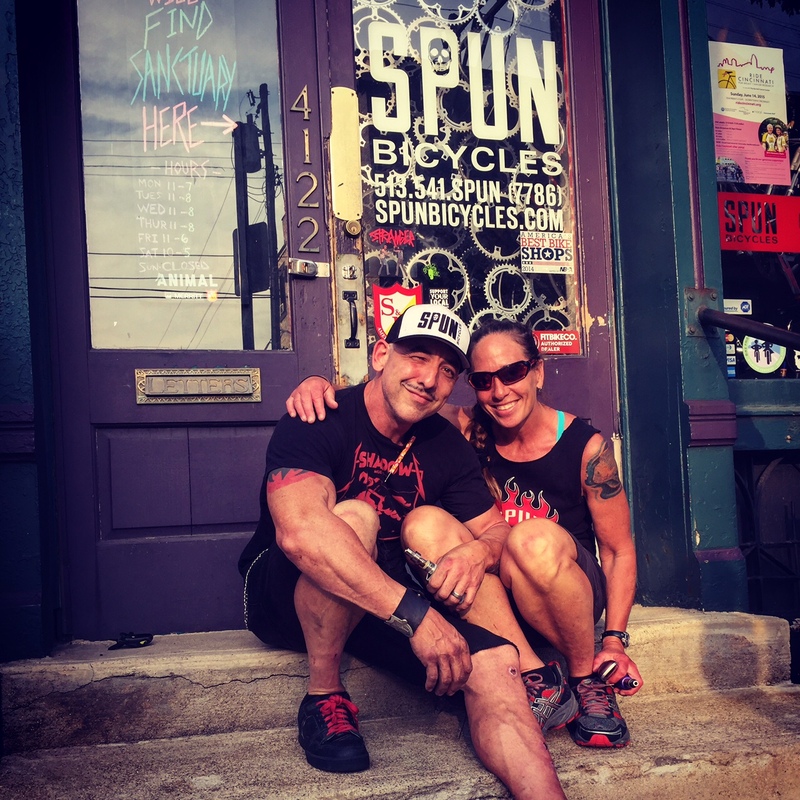 Spun Bicycles is the compilation of two dedicated bicyclists: Dominic and Judi LoPresti. For their friends, it is no secret that bicycles are a way of life. In fact, they met in a bike shop, their first date was a bike ride, and they were married in Vegas during Interbike (the US cycling industry trade show). 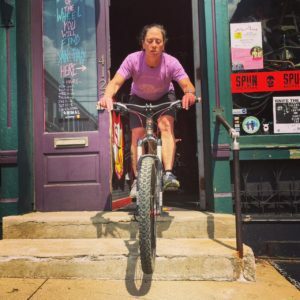 Spun Bicycles is a dream come true for them and their way to give back and build the community of bicyclists in their home town of Cincinnati. Both Dominic and Judi are not-so-serious cyclists. 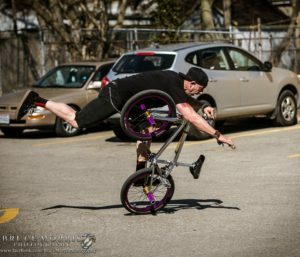 They enjoy all forms of riding from Freestyle BMX to MTB, cyclocross, commuting and road. It doesn’t matter; they love bicycles in every form. Judi has always depended on bikes to get around. She was a bike messenger in San Francisco in the 90’s and continued to depend on bikes as her main source of transportation until she got her driver’s license at the age of 30. She took a break from bicycles until she was 37 at which point she entered her first triathlon. After 2 years of triathlon and completing an Ironman in 2009, she started racing Cyclocross (CX), road, and criteriums. 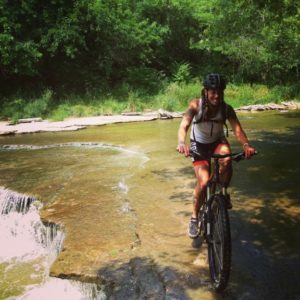 She found her true love on the mountain bike and has completed a couple of endurance mountain bike races. After a few years of racing bikes, she returned to her roots of commuting and simply riding for fun. Traffic and trails are where she prefers to pedal. In the shop, Judi enjoys sharing her knowledge and experience with new folks just getting into bikes. Dominic started riding BMX at the age of 10. He was riding quarter pipes and freestyle at the age of 11. He entered his first American Freestyle Association (AFA) contest at the age of 13 and won first place. After winning two more contests he was bumped up to Expert level. He consistently placed top 5 for the next 3-4 years. 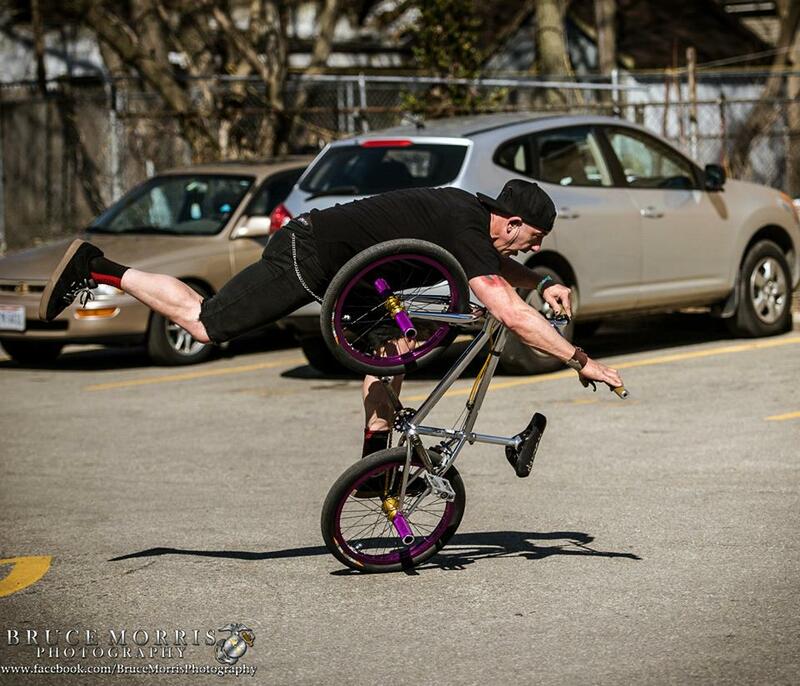 After high school, Dominic gave up competing and rode street and flatland BMX in shows and just for fun. In the 90’s, he spent time mountain biking, and later took on road and fixed gear riding. 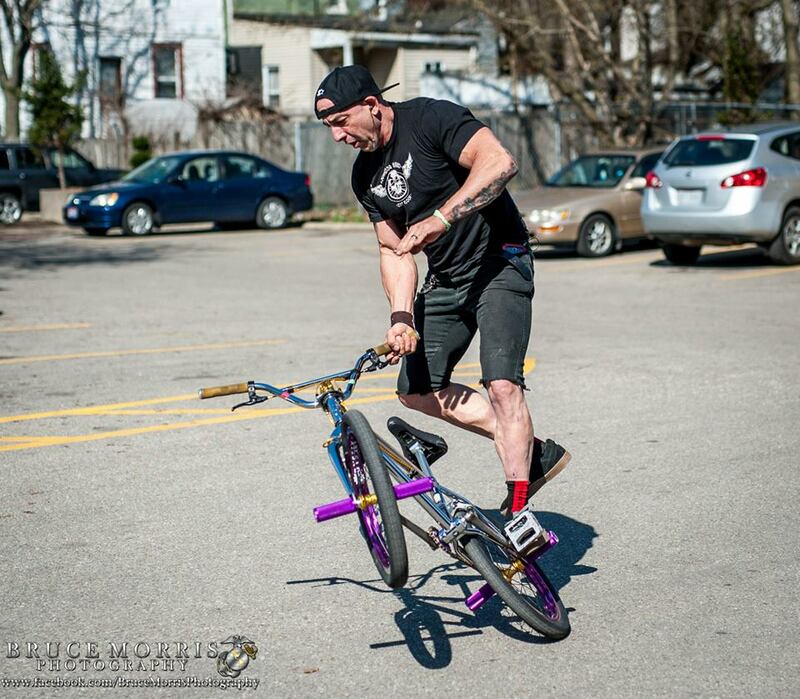 To this day, Dominic enjoys all types of bicycles, but his heart is still with BMX. In the shop he shares his love of the sport with the next generation of riders.